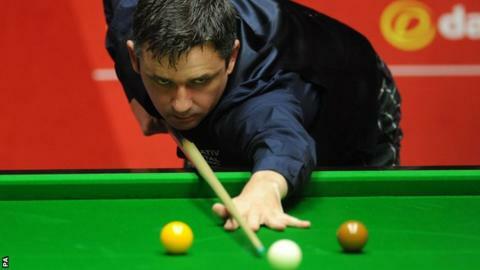 Alan McManus beat fellow veteran Ken Doherty 13-8 to reach the World Championship quarter-finals. The 43-year-old Scot will now meet Mark Selby after triumphing in what was often a scrappy affair at Sheffield's Crucible. He started the evening session with a 10-5 advantage over Doherty. And though the 44-year-old Irishman briefly rallied, winning three of the first four frames, it proved too little too late. McManus, who was playing in the second round for only the first time since 2005, took the first two frames after the mid-session break, but a highest break of 33 summed up the quality. The Scot, who is back up to 35 in the world rankings, caused controversy when he criticised younger players for lacking the work ethic of the older stars. In the night's other match Dominic Dale leads 7-1 against Michael Wasley, which will continue on Sunday.